Sold by the kilo, “love teas” promise to serve as an aphrodisiac, “relaxing teas” to destress. There are also a variety of more conventional teas such as jasmine tea and black teas, for the less adventurous. The carefully formed mountains of spices include pure spices like saffron, cumin, and oregano, as well as “chicken spice”, “meat spice” and “salad spice” blends. (What is salad spice?) 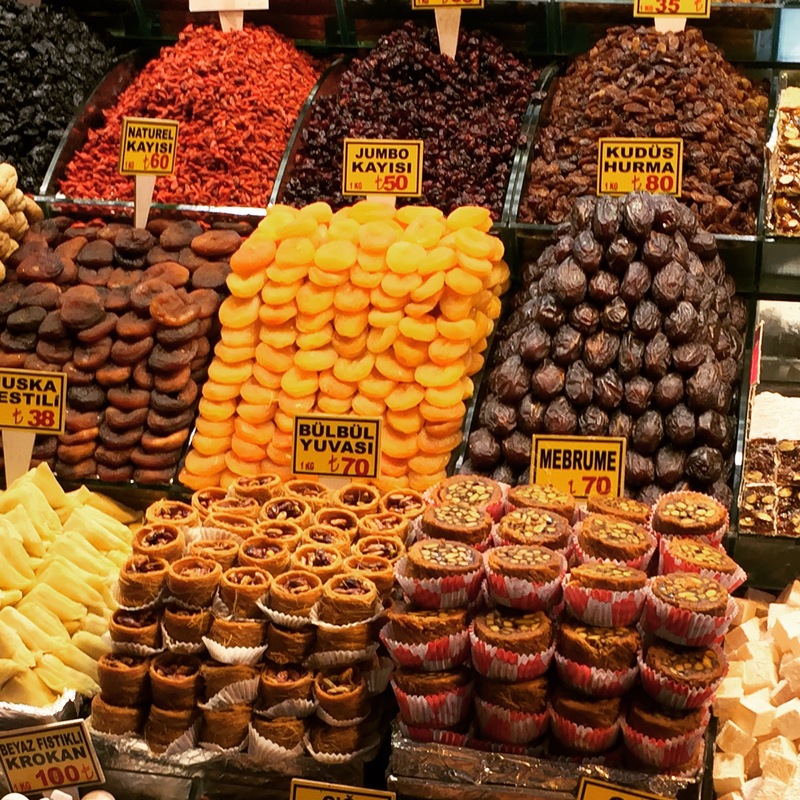 The Spice Bazaar also sells a number of sweets, dried fruits, and nuts. 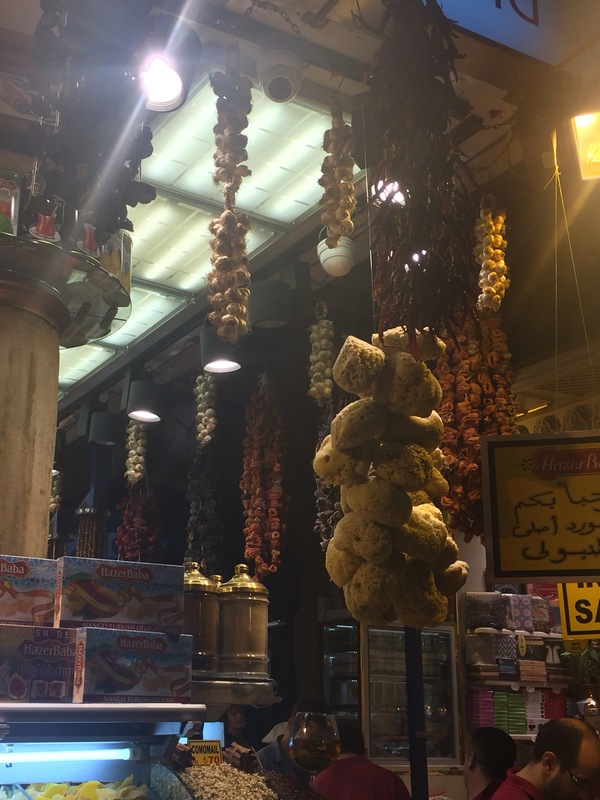 We bought some chicken spice and Turkish tea from one shopkeeper, and then from a smiling Syrian man who had been working at the Spice Bazaar since he fled Syria over a year ago, several kilos of pistachios for my grandmother, dried dates, strawberries, and for my younger sister, jelly candy. After finding out that the greens were her favorite from the fruit jelly medley (eww, who likes the greens?) The kind shopkeeper picked out the green candies from the mix and handed her a quarter kilo bag of just her favorite flavor. My personal favorite were the dried strawberries, which tasted just like candy, and I’m sure were coated in sugar, but gave the illusion of being a healthier option. I was very willing to trick myself and keep popping in the delectable little fruit pieces. Along the outer rim of the bazaar are more vendors, many selling cheeses, either out on display on counters or soaking in brine. 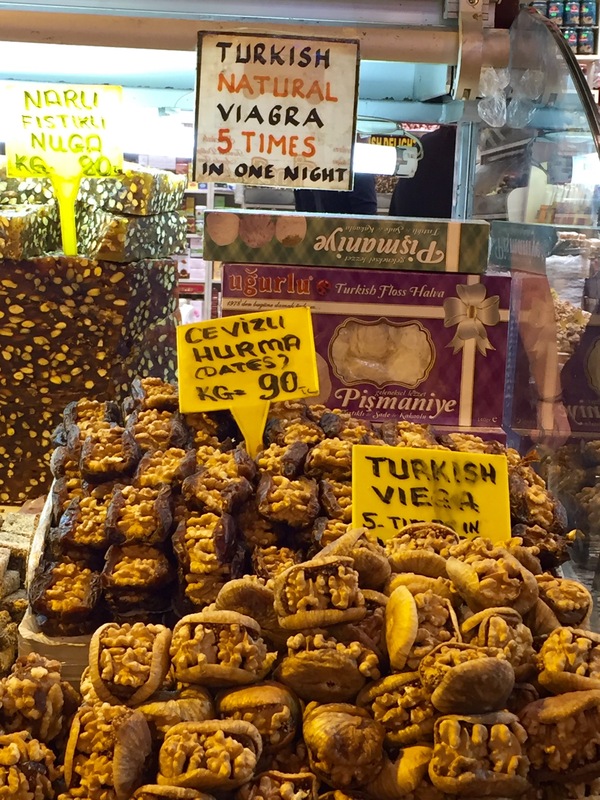 There were a few trinket shops seeping into the Spice Bazaar’s space, no doubt capitalizing on the tourists who don’t make their way to the slightly further away, slightly more hidden, Grand Bazaar. Nevertheless, the star of the Spice Bazaar, is, and has been for centuries, the spices. 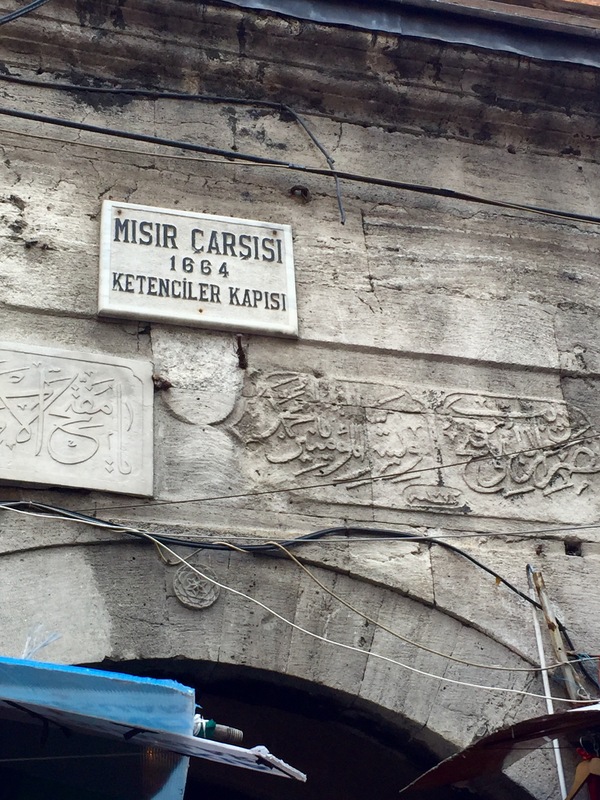 The bazaar was built in the mid 1600’s as an extension of the nearby New Mosque, and was rented out to local merchants to provide some revenue for the mosque. It became a stop on the Silk Road, where travellers sold their exotic spices from the East to the local merchant population. The bazaar today retains the character of that legacy. 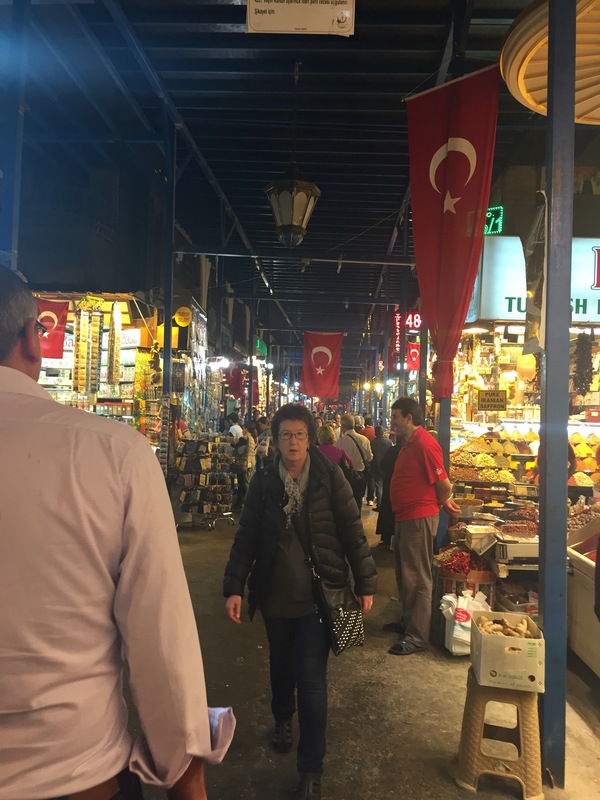 In Turkish, the Spice Bazaar is called the Misir Carsisi, which translates to Egyptian Bazaar, creating a nice link between my first stop in Istanbul and my next in Cairo, where I was heading the next day. 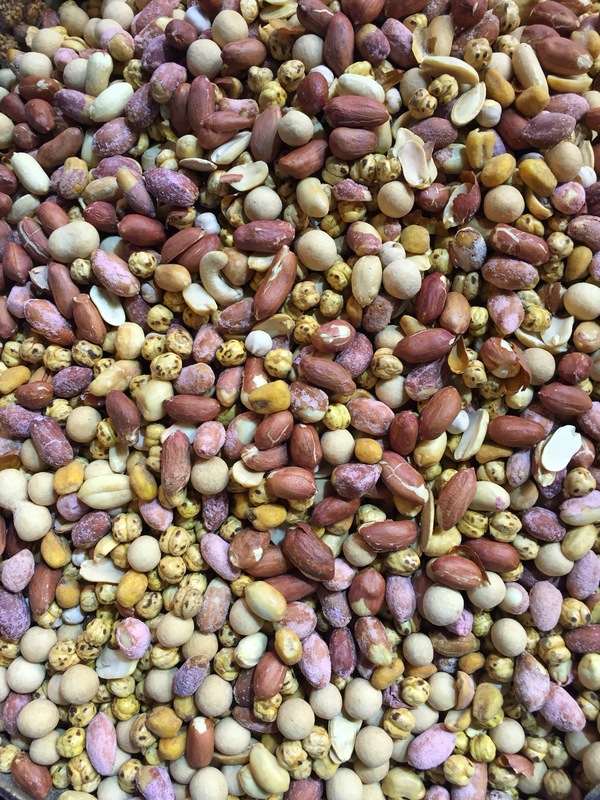 It had something to do with levies taxed on Egyptian goods in the bazaar, centuries ago. With parcels of fragrant spices in our arms, we left with the warm feeling of an afternoon well spent, joking with friendly shopkeepers, sniffing pinches of spices we had never seen or heard of before, and marveling at the vibrant colors. The people, the scents, the bustling noise, the colors, sensory overload is the best way to describe the bazaar. 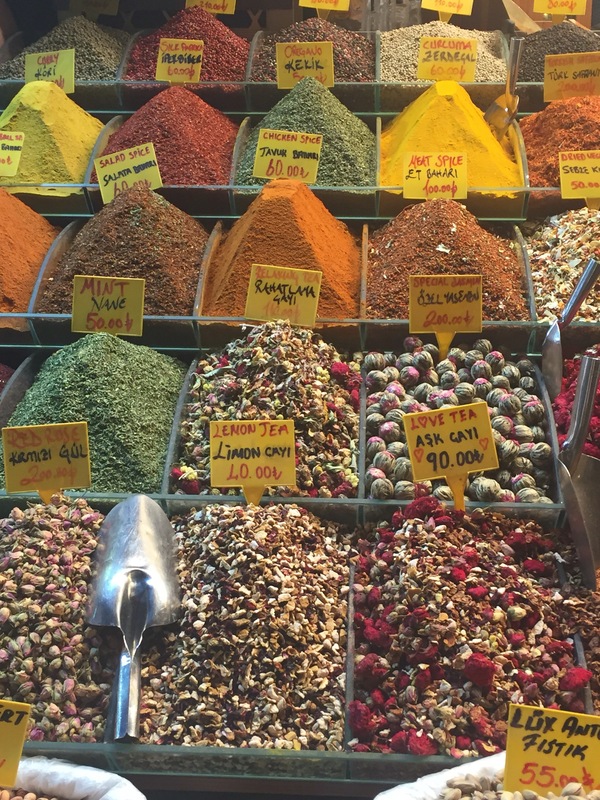 For chefs and those who don’t know their way around a kitchen, alike, the Spice Bazaar holds exciting things to tickle the senses. I could read a book about this without finding such real-world apahcpores!